KLIK BANNER KALO NK JOIN K ! Please leave your dream here. 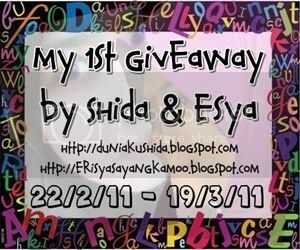 1st GIVEAWAY : 'BLACK' bagi dirimu ? ❤ Design by Aisyhah Nyais. ❤ All copyright by the owner. ❤ Thanks for reading.